Florida beach weddings and vow renewals deserve a stunning reception. 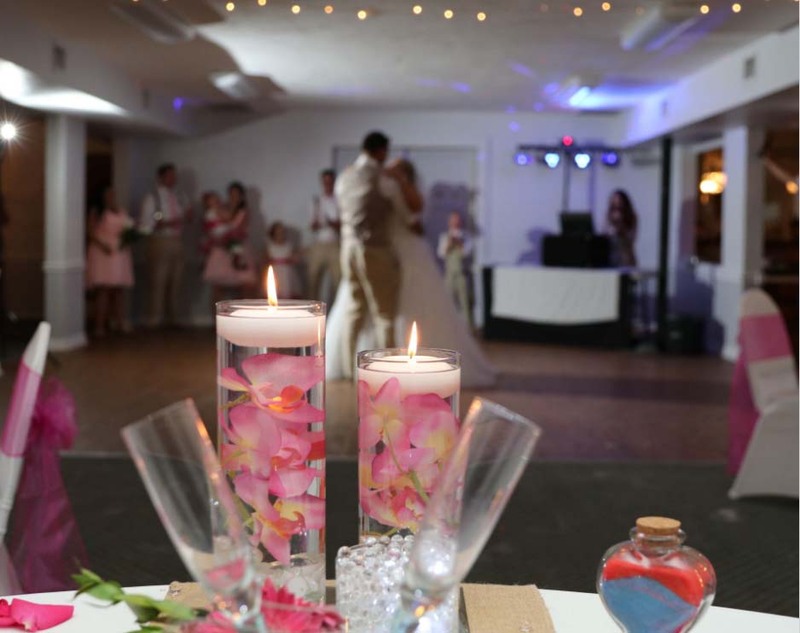 Let Suncoast Weddings craft the reception of your dreams - inside or on the shore. Come together with family and friends to celebrate your love. We'll get the party started so you can savor every second. Following your Suncoast Weddings ceremony, we are delighted to offer a variety of reception alternatives. 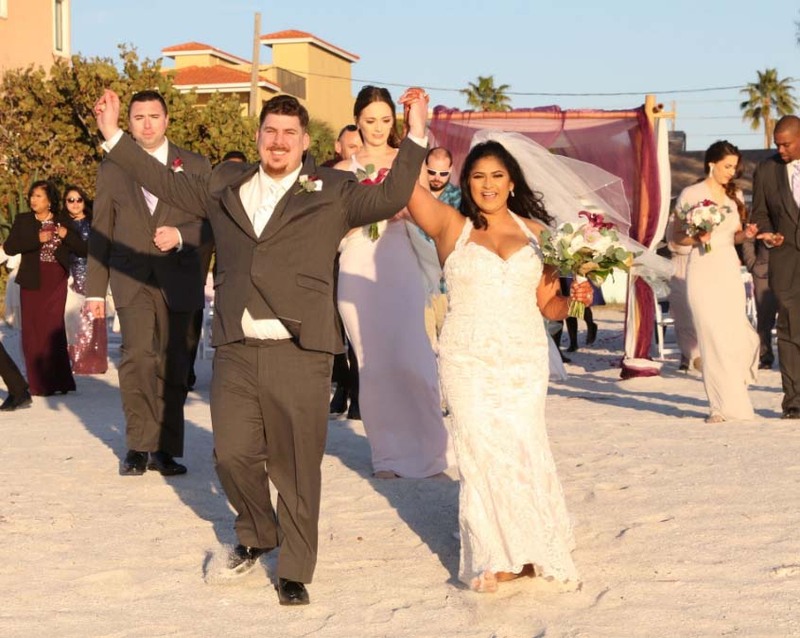 Florida beach weddings and reception packages are an affordable to way to keep family and friends celebrating together into the evening. A wedding day is to be enjoyed - reducing the stress is easy! Let us help plan your reception. We have worked with local sites over the years and know the best places to go. From a buffet of finger food to a full sit-down formal reception, we've got the contacts and can help with your special day. Receptions can be traditional or, as you're getting married on the beach, why not consider a beach-side reception on the shore. A toast to the happy couple and a cake extends the magic of the day and the location cannot be beaten. Here are some ideas - we love the idea of using the beach as an inspiration. Seashells, starfish, anchors - all work really well to tie in with your reception theme. Why not carry your ceremony colors to the reception too? We can decorate your reception space to mirror the theme of your service with sashes, balloons, and beautiful centerpieces, and we know the best wedding cake specialist in the area! Florida beach weddings are special - the view, the soft lullaby of the surf, the sand between your toes and the whisper of a breeze. If you want to hold a reception on the shore, we have you covered. We know the best bakeries around for stunning cakes, and we’ll help coordinate your toast and make sure everything runs smoothly. This is a once in a lifetime deal, so make it extra special. A reception on the Florida shore is affordable and will be a memory to be treasured forever. We can recommend great accommodation nearby, often just steps from the beach. One alternative is to enjoy your beach wedding, then return across the street to a reception where you are staying. The relaxed setting and added privacy may allow a full evening of celebrating. Another fantastic location is the Sunset Inn & Cottages who have a beautiful courtyard area. Call us to find out the best fit for your wedding party and your date. Our 'Sandy Toes & Salty Kisses' Reception - beach-side! 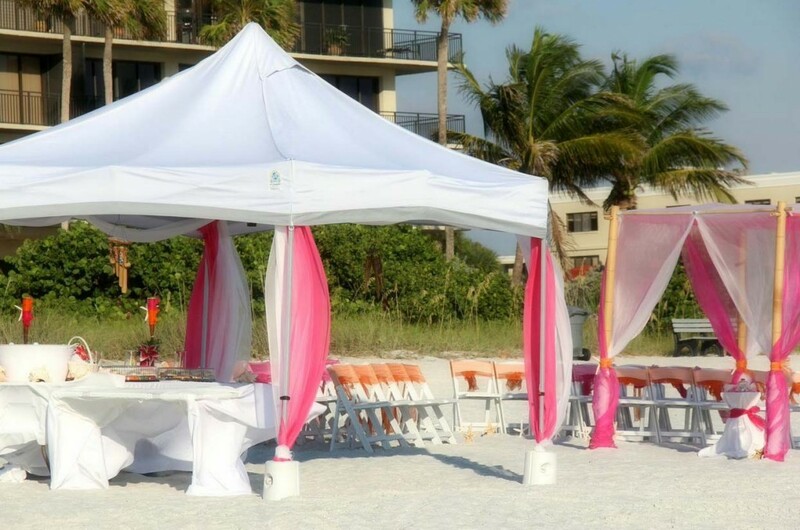 On the beach, with Suncoast Weddings you can enjoy a beautiful ceremony followed by a shady, beach-side reception. This optional extra gives you time to kick back and relax after the ceremony with family and friends. This casual affair is perfect for groups of 50 or less. We’ll bring along the iced water and you can supply additional refreshments (alcohol is prohibited on most, but not all beaches) and a cake, dessert or snack food items – whatever you want to share with those you love as the first feast together celebrating your love. We will take care of the rest! 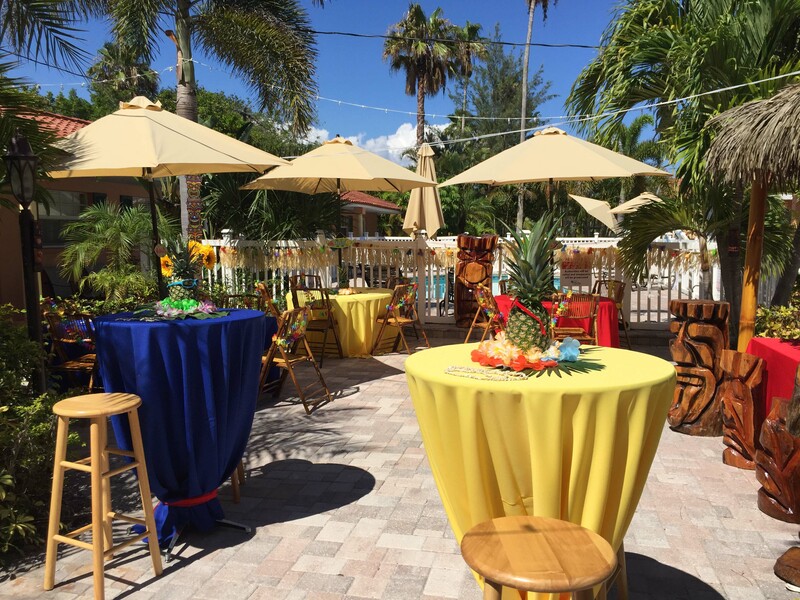 Choosing a color scheme, choosing a venue, selecting that special cake - let us help you with your Florida beach wedding reception. We know the best places and the best vendors locally. Mirror the theme from your perfect Florida beach wedding day or switch it up and change the mood as you get ready to party into the night. We are creative but respect your budget. A reception is a perfect way to extend the magic and make even more memories together. Savor your first dance and enjoy a delicious wedding cake … a time for family and friends to mingle and tell stories, to relax and to celebrate your love … to toast and to dance! 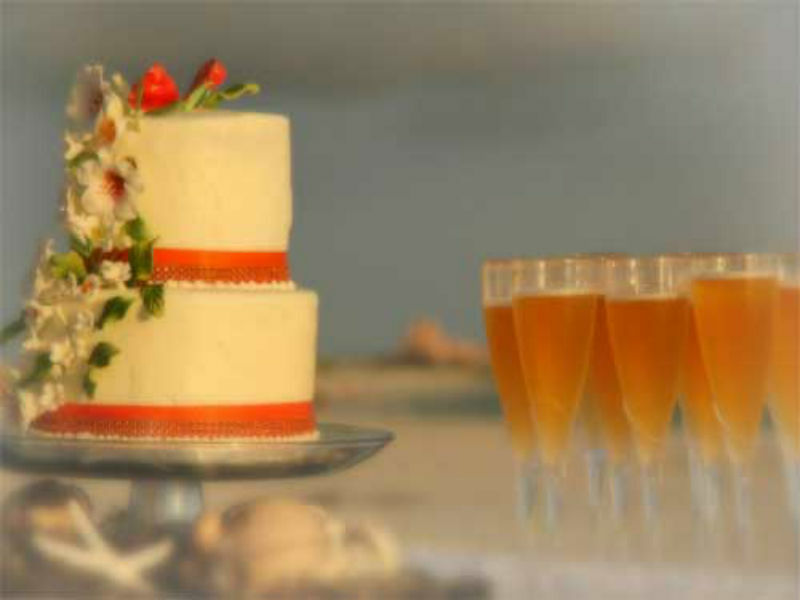 Florida beach wedding receptions are a time to celebrate with family and friends. There are lots of ways to make the evening even more memorable – browse our gallery to see some creative ideas at receptions. 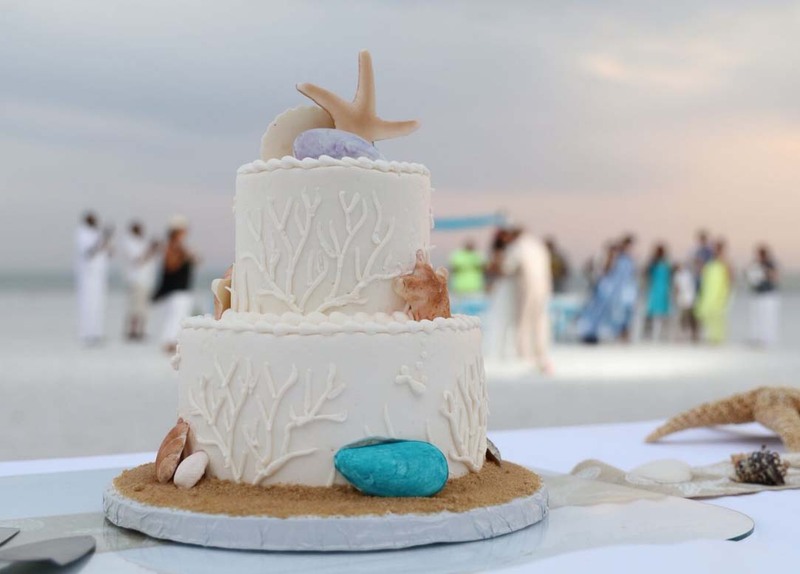 How about a centerpiece inspired by sand and shells to follow your perfect Florida beach wedding? Let’s get the party started! This is a wonderful and affordable reception venue across the street from the beach and near many hotels for guest accommodation. There are menus with choices of food from hors-d'oeuvres to buffets. Deb, the banquet room's friendly manager, will work with you to make your wedding reception all that you desire it to be. 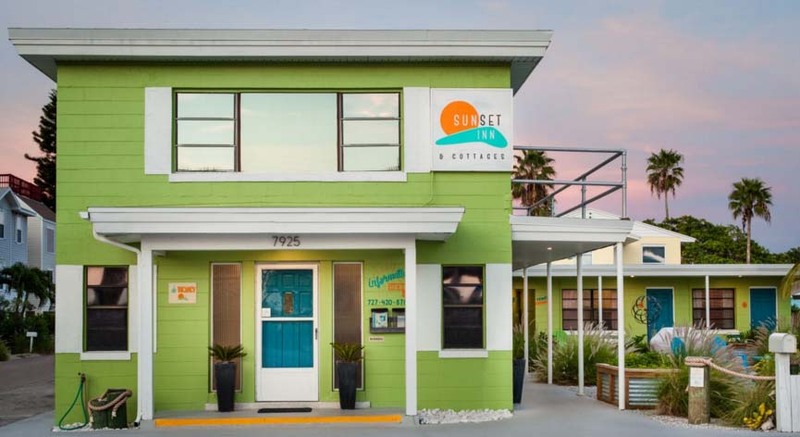 This offers one of the best-priced deals in the beach area. We work closely with Deb and her team and will help set you up with a super deal for a terrific reception. Either we can help arrange your reception or make sure you mention Suncoast Weddings for a special experience. A Treasure Island Beach House with 5 suites as accommodation for up to 22 guests and a spacious backyard area which transforms into a reception venue for up to 100. Stay together and celebrate together in a laid-back atmosphere with your beach ceremony just steps away. Marry just outside and then relax and kick back in style. 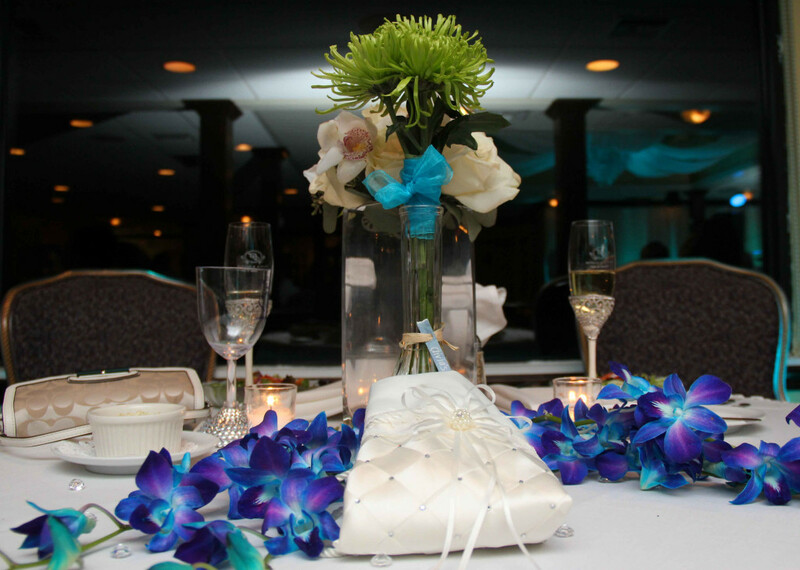 Let us decorate the club, we can match your wedding theme or create a whole new color scheme for the reception. Look out especially for midweek value on booking this facility. 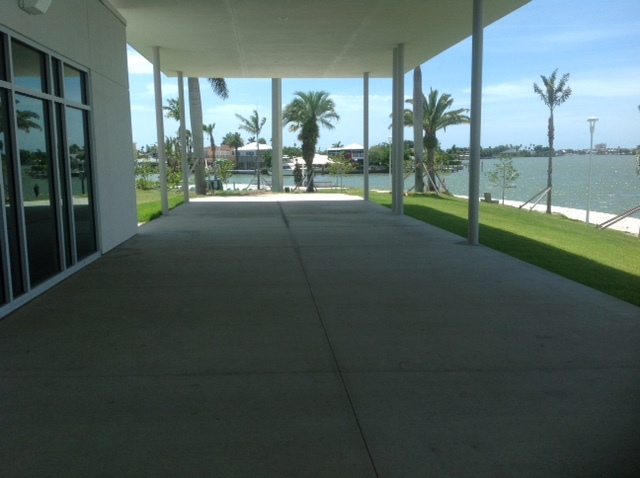 The club doors open directly onto the fine sands of Sunset Beach. Panoramic views of the intercoastal, a covered deck, multiple reception rooms, accessible pathways and ramps, water features, gardens, affordable and versatile. For rooms which open out to this view and a newly remodeled facility, this venue is perfect for those who love the water but don't want the beach on their big day. Prices to rent the facility are very affordable. One look at the views, and you'll be in love with this venue. The yacht is a sleek and modern 115-foot ship. 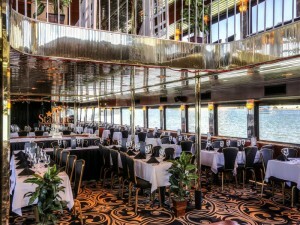 The large picture windows offer all diners panoramic views of the coast as the ship cruises the smooth, scenic inland waters of Florida’s gulf coast. The vessel’s contemporary atmosphere and sumptuous food make it a really unique venue for your wedding. The Paddle-wheel Boat takes you back to a simpler time. This 107-foot authentic paddle-wheeler is a fully modern vessel built with extreme attention to detail and is finished with Victorian touches. Every seat in the spacious, plush dining room has a remarkable panoramic view of the changing waterfront scenery. The yacht is available in Clearwater Beach and the paddle boat is available in St. Pete Beach. 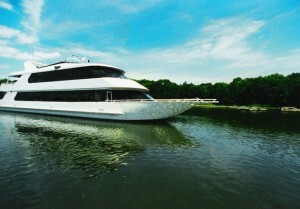 The yacht in Clearwater accommodates up to 280 passengers. The paddle boat in St. Pete Beach can accommodate up to 242 passengers for a sit-down meal. Above are images of the StarLite Majesty and Sapphire - sophisticated and perfect for Florida! Are you ready to cast off? Set sail to happiness as you cruise on inland waterways to mix and mingle with your guests as you savor gourmet food whilst enjoying the sights. The StarLite Majesty cruises Tuesday through Sunday offering a wedding reception on a 3-hour dinner cruise. Choose from delicious Entrees like chicken marsala, classic filet mignon, pasta alfredo or how about Chef's selection straight from the seafood market - fresh from the Wharf! Buffet and cocktail menu options are also available and you can choose from chef stations (with culinary treats such as roasted whole tenderloin of beef) or perhaps Hors d'oeuvres like oysters on the half shell and jumbo stone crab claws? The lists are extensive and the variety is tailored to your request and budget. Full cocktail service is available. 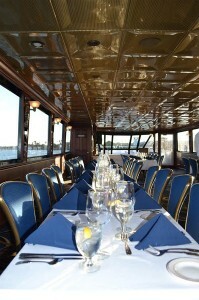 A 3-hour dinner cruise is a perfect way to celebrate your special day. Food, beverages, live entertainment, and scenery like no other venue can offer. 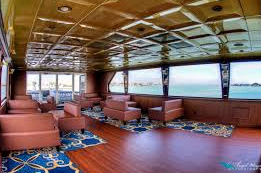 You may choose to have group seating or charter an entire deck or whole vessel for larger groups. We can organize a fantastic cake for your big day ... why not make it really special and unique? If you want inspiration, we have creative ideas for centerpieces to enhance your reception and fit your vision and budget. Reception venues can get booked many months in advance, so if you know your date and know where you want, you’ll need to secure your reception with a deposit. 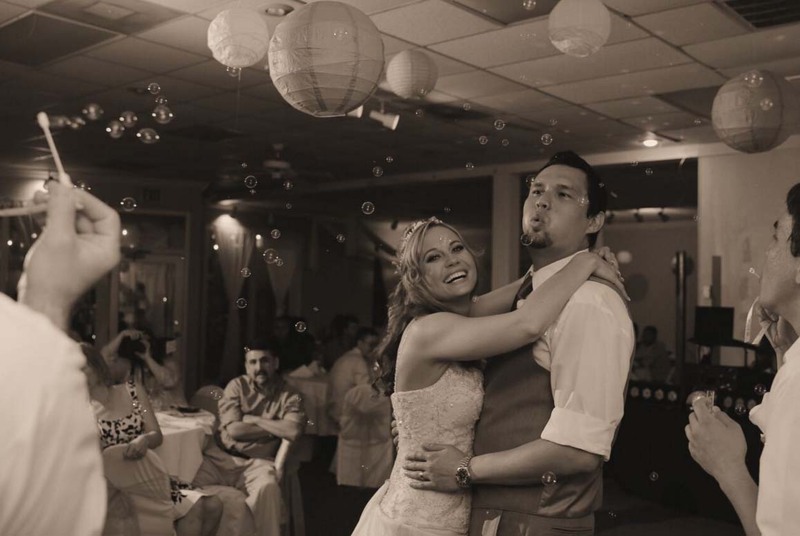 Let Suncoast Weddings help coordinate every aspect of your big day – this is what we do best!